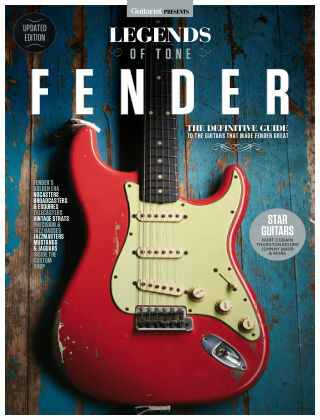 With Readly you can read Legends of Tone: Fender and thousands of other magazines on your tablet and smartphone. Get access to all with just one subscription. New releases and back issues – all included. "Join us as the world’s top guitar historians tell the inside story of Fender through its most famous guitars. With detailed historical and technical insights and reference-grade photography of milestone instruments including original 1954 Stratocasters, 1950 Fender Broadcasters, Custom Shop dream machines and much more, this stunning evocation of Fender's legendary electric guitars is a must-read for guitar aficionados. "